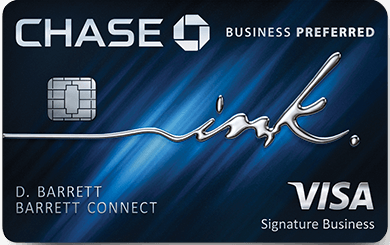 IHG/Chase recently released a couple of new credit cards, and they also retired the IHG Rewards Select. Of those new cards, we’re going to focus on the new IHG Rewards Club Premier card, and how its benefits alone make it worthy of holding, but for those of you like me who already hold the old IHG card, why it may make sense to pick it up too. Additionally, if you’re an Ambassador, it could be even more valuable when stacked. 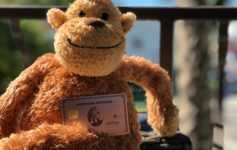 Let’s take a look at the IHG Rewards Club Premier Card and why I’m seriously considering picking this card up. What are the perks of the new IHG Rewards Club Premier card? Learn More about the IHG Rewards Club Premier card and compare it with other Hotel Reward Cards. Annual night certificate effectively pays for the card’s annual fee year after year. As I mentioned above, every year you keep the card, you’ll get a free night certificate. There are a ton of 40k and under hotels in the world whose nightly rate is WAY over $89. In fact…I wrote an entire article about it. Read that here. 80k bonus points is about as good as it gets with IHG cards – it won’t last forever. While there have been targeted 100k offers over the years, 80k is the highest I can remember an IHG card has ever publicly offered. The min spend to get those points is also reasonable at $2k in 3 months. The 4th night free benefit is most intriguing. While a lot of fanfare has been made about the annual night certificate dropping from any IHG property in the world to just 40k properties and under ( referring to the IHG Rewards Select), I think one of the most interesting benefits is the 4th night free benefit when using points for the redemption. If you take the cheapest cost that IHG points are ever offered ( half a cent) then basically if you stay at any property that 20k+ plus, you’re recouping your annual fee. If you targeted a 40k point hotel in your second year of card membership, so you could add on a free fifth night, and only pay for 3 nights. That’s a helluva deal. My family has IHG timeshares and often opts to take points in lieu of staying in them. This means we often have a nice healthy balance of points. Seeing as though top tier IHG properties are 70k a night, and points are divided amongst two accounts, we could be saving 140k a stay ( when we book two rooms) at places like the Intercontinental Cannes. That’s absolutely massive savings. If you’re like me and already have the now retired IHG Rewards Select…you’ll save even more by stacking. With the IHG Rewards Club Premier card we’re talking about 210k for a 4 night stay ( 4th night at 70k isn’t charged). However, since my mom, dad, and I all have the IHG Rewards Select card that earns 10% back on all redeemed points ( up to 100k a year) we would be saving an additional 21k points on the stay per room. 4 nights at top tier properties for just 189k points is amazing. If you renewed Ambassador with a 10% rebate you’d save even more points. I wrote about this last year, but many people are targeted for an additional 10% refund on Intercontinental stays as part of their renewal. If you currently have this benefit, you’d drop the total for 4 nights down another 10% to just 170k points. That is extremely attractive. 20% discount on purchased points. This discount DOES NOT apply to points purchased during targeted sales. So…that almost makes the discount moot. Is it restricted by 5/24? No…like it’s predecessor, it appears that this card is not restricted by 5/24. Why I may not get it. I currently have several Chase cards, and while I think the card adds a lot of value to my portfolio, Chase has been recently denying people with multiple cards. That is giving me a little bit of pause, and if you’re in my situation, something to consider. Whether I get this card in the short term, or not, it’s a card on my radar and something I think I will ultimately add to my wallet. Looking at the frequency of which I stay in IHG properties with points, the 4th night free benefit is uber valuable to me and my family. Time will tell how the old IHG card continues to maintain benefits, or even exist, but a 4th night free benefit teamed with the annual night cert is a killer 1-2 punch. Previous Article Buy Alaska miles with a 40% bonus – 2.1 cents each.